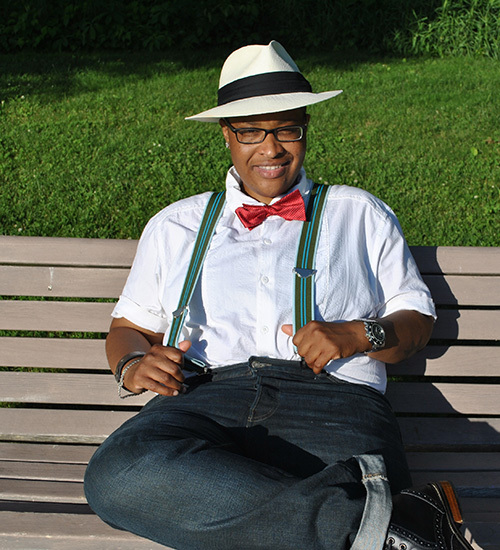 Before joining the English Department at UMass in 2008, TreaAndrea M. Russworm earned her B.A. from Brown University and M.A. and Ph.D. from the University of Chicago. Her areas of research and teaching specialization include: video games and new media, digital cultural studies, African American popular culture, digital humanities, comic books and visual representation, and postmodern and psychoanalytic theories. Professor Russworm is currently working on a fourth book, a scholarly monograph, on race and technology. In her first book, Blackness is Burning: Civil Rights, Popular Culture, and the Problem of Recognition Professor Russworm argues that humanizing, or trying to represent in narrative and popular culture that #BlackLivesMatter, has long been barely attainable and impossible to sustain cultural agenda. The book is one of the first to examine the ways race and psychological rhetoric collided in the public and popular culture of the civil rights era. In analyzing a range of media forms, including Sidney Poitier’s popular films, black mother and daughter family melodramas, Bill Cosby’s comedy routine and cartoon Fat Albert, pulpy black pimp narratives, and several aspects of post–civil rights black/American culture, Russworm identifies and problematizes the many ways in which psychoanalytic culture has functioned as a governing racial ideology that is built around a flawed understanding of trying to "recognize" the racial other as human. Her other two books on popular media include the anticipated edited collections, Gaming Representation: Race, Gender, and Sexuality in Video Games (co-edited with Jennifer Malkowski) and From Madea to Media Mogul: Theorizing Tyler Perry (co-edited with Samantha Sheppard and Karen Bowdre). Russworm’s contribution to both books continues her critique of the humanizing impulse in post-civil rights representational culture, from video games and other digital media to popular films and television shows. Gaming Representation: Race, Gender, and Sexuality in Video Games(Indiana University Press, 2017). Blackness is Burning: Civil Rights, Popular Culture, and the Problem of Recognition (Wayne State University Press, 2016). From Madea to Media Mogul: Theorizing Tyler Perry (University of Mississippi Press, 2016). “Dystopian Blackness and the Limits of Racial Empathy in The Walking Dead and The Last of Us.” In Gaming Representation: Race, Gender, and Sexuality in Video Games. “Identity, Representation, and Video Game Studies Beyond the Politics of the Image.” In Gaming Representation: Race, Gender, and Sexuality in Video Games, co-written with Jennifer Malkowski. “Introduction: Media Studies has Ninety-Nine Problems…But Tyler Perry Ain’t One of Them?” In From Madea to Media Mogul: Theorizing Tyler Perry. “‘Hey, Hey, Hey!’: Bill Cosby’s Fat Albert as Psychodynamic Postmodern Play” in Watching While Black: Centering the Television of Black Audiences. Ed. Beretta Smith-Shomade (Rutgers University Press, 2013) 89–104. “The Hype Man as Racial Stereotype, Parody, and Ghost in Afro Samurai.” In Game On, Hollywood! : Essays on the Intersections of Video Games and Cinema. Eds. Gretchen Papazian and Joseph Sommers. (McFarland & Company, 2013) 169-182. “Video Game Walkthroughs as Social Media.” Cinema Journal. Teaching Media Dossier. Vol. 1. Winter/Spring 2013. “Hip-hop.” In Encyclopedia of Video Games: The Culture, Technology, and Art of Gaming. Ed. Mark J. P. Wolf. Vol. 1. (Greenwood, 2012) 290–293. “Now Watching: Black Web Series and the Promised Land of New Media.” Flow 15.7 (2012). Web. 27 Feb. 2012.